One of BikeAAA’s most important goals is to provide bike safety education for all riders including children, commuters, recreational riders and club riders. We are pleased to be hosting a League Certified Instructor course (LCI) in Millersville, MD December 4 – 6. 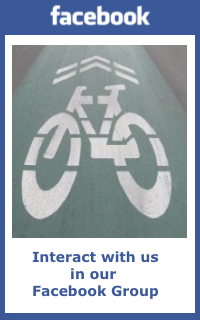 This program is for experienced cyclists interested in teaching others safe cycling. And through a grant from the Baltimore Bicycle Club, we are offering a scholarship for Maryland residents which will offset most of the $300 course fee. You must become a League of American Bicyclists member to register. The free prerequisite Smart Cycling course from BikeMD is 4 hours and will be offered at Quiet Waters Park in Annapolis on Oct. 10 10AM – 2PM. For more details and to register, click on December LCI Course. And click October 10 Smart Cycling for the prerequisite course. BikeAAA through a grant provided by the Baltimore Bicycle Club is pleased to offer a scholarship to offset a portion of the cost of the $300 LCI training fee. The scholarship amount will be between $150 and $250 per person depending on the number of applicants. To be eligible, you must be a Maryland resident, complete and pass the LCI training program December 4-6, 2015 and commit to providing at least 30 hours of bicycle safety training by December 31, 2017. Reimbursement will be made upon successful completion of the LCI training course in December, 2015. For more details, email president@bikeaaa.org. This entry was posted in Events, General and tagged LCI, Safety. Bookmark the permalink.